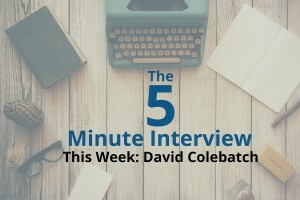 This week’s 5-minute interview features David Colebatch, the co-founder of LightMesh and xnlogic (a Neo4j Solutions Partner). I caught up with David at GraphConnect San Francisco. 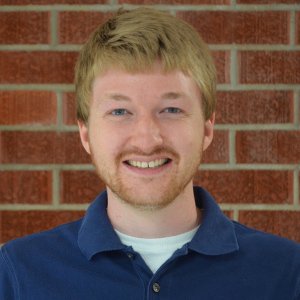 Q: Can you talk to me about your first Neo4j project? David: My first Neo4j project was actually with the company we just saw talking [Monsanto] as a solution partner. It was around the genetics. And it was a very large accomplishment for us, really helped them achieve those goals. Q: Why did you guys choose Neo4j when you first came across it? David: Neo4j was chosen by the client in that case, so it was already decided that it was the right solution for the job. We were called in to explore it and prove it out to really validate their hypothesis, so that’s what we did. Q: If you could start over with Neo4j or start over with that project would you have done anything different or started at a different point? David: Tackling new projects with Neo4j – and with graphs in general – I think that the biggest benefits to the project is starting with someone who really understands graph modeling and has used graph databases before. What I always advise people to do is: Sure, you can jump right in and get to work, but think of it as you’re just like learning the tool set. When you want to take a big set of data or a critical application, it’s important to have some modeling expertise when laying it out. That will save you tons of time in the long run. David: Really I want to make sure that we cover that graph databases are a great tool for network configuration management. I think the IT space is ready for change now. Graphs are going to make IT operations a lot easier, and we’re really only at the tip of the iceberg in tackling that. Want to learn more about graph databases? Click below to get your free copy of the O’Reilly Graph Databases ebook and discover how to use graph technologies for in your application today.